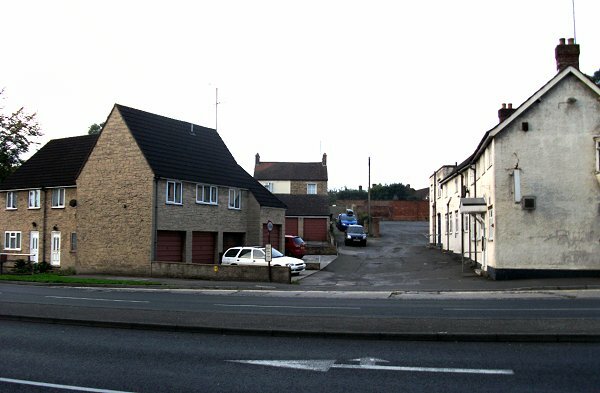 Duke of York Court was a row of cottages in a one-sided 'court' entered from, and at right-angles to, Kingston. 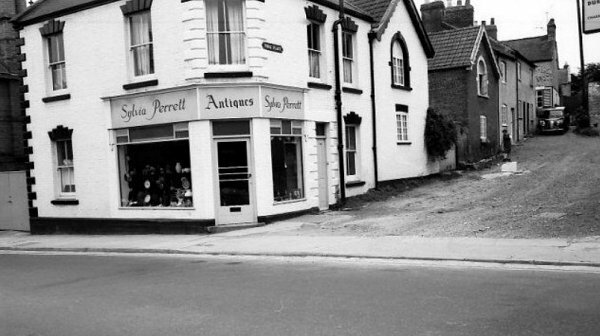 Only the corner cottage, built in the location of Sylvia Perrett's antique shop in the first photograph below (although this is almost certainly a later rebuild) was shown on Watts' map of 1831 while the remaining cottages are shown on Bidder's map of 1843. 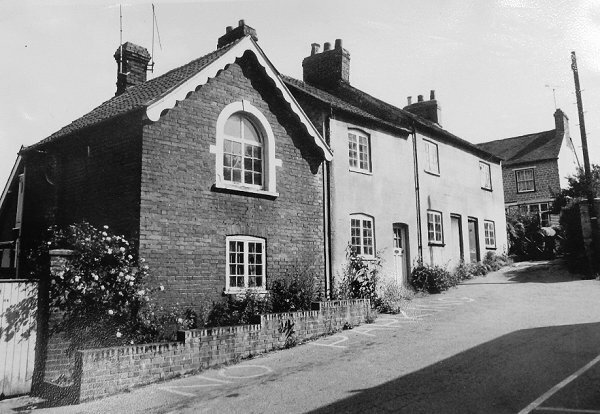 In 1841 the cottages were simply included in Kingston for enumeration purposes, but by 1851 it was listed separately in the census as Duke of York Court, sometimes abbreviated to York Court, taking its name from the Duke of York public house which it faced. From the census returns it would appear that the cottages were not just hovels built for the poor, but had families of a slightly higher social standing, such as a milliner, mail contractor and a tailor, several of whom had domestic servants. In 1861 there were 29 people living in Duke of York Court with a good mix of occupations including a 'boot closer & teacher of music', a 'butcher & tailor', two tailors, a carpenter, two glovers, a laundress, a gardener, an agricultural labourer, a glover's yardman, a seamstress and a 'hawker of cakes'. In the census returns it was named Duke of York Court between 1871 and 1891 but was called Duke of York Yard in 1901. It was shown as York Place on the 1886 Ordnance Survey and by the middle of the twentieth century it was commonly known as York Place. The cottages (except 4 and 5, which still remain) in York Place were finally demolished in 1981 and new housing built in its place. This map, based on the 1886 Ordnance Survey, shows York Place just right of centre with Kingston in the top right corner. 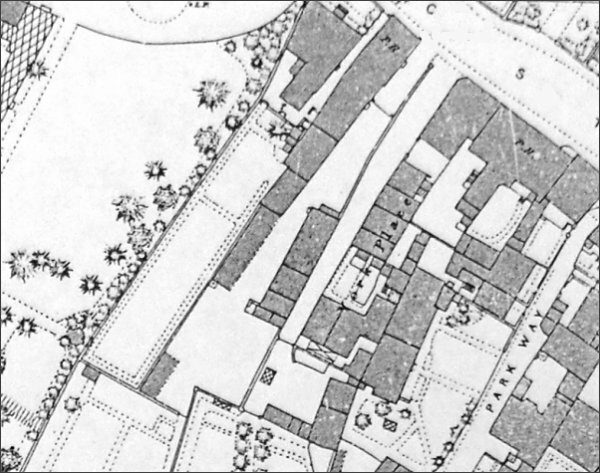 The long building marked 'PH' right of centre is the Duke of York and the rectangular building marked 'PH' at top right was the White Lion. York Place seen from Kingston, probably photographed in the late 1960s. .... and again from slightly further along. 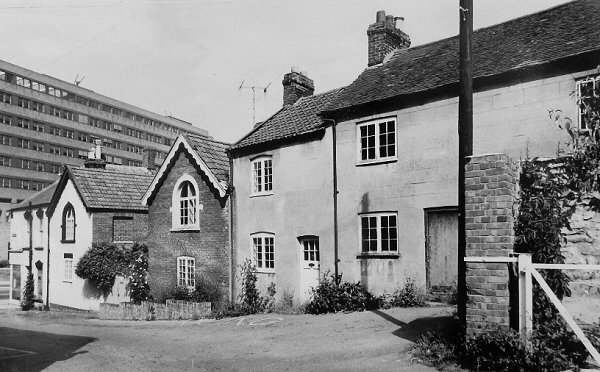 The cottages of York Place, photographed in the late 1970s, with the new District Hospital in the background at left. The new housing in York Place, photographed in 2014.